Do you at present have hook-lift trucks in your fleet? Have you investigated every one of the conceivable outcomes to use this awesome system to its maximum capacity? 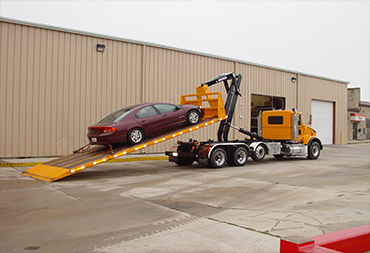 The installation process of Hook-lifts to your vehicle is completed in-house by our team of expert staff. With a unique sub-frame designed for your vehicle and requirements, our frames are fabricated on site and installed to meet the required standards and regulations. With regulatory consent, our in-house team complete a series of testing, required before you’re out on your own, including over-load testing and stress testing. Meelany Mechanical can also help you certify the engineering certificate via our contracted certified professional. Call on 04 76 76 76 16 to speak to our staff about your requirements.